Hasan Zainal founded Arzan VC in June 2013, bringing with him 9 years of investment and operational experience. In his years of experience, Hasan have co-founded different businesses and was instrumental in building the right teams to manage the growth prospects of each company. Hasan worked in Global Investment House in their Private Equity Department. He was a team member in both the transaction and due diligence team. Prior to establishing Arzan VC, Hasan co-founded Edge Foods and lead its operations for three years. He currently sits on the boards of Al Amanah Holding, Edge Foods, BBK Geojit Securities, Kuwait Prospects and Mesk Holdings. 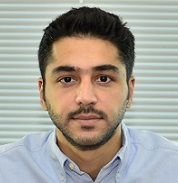 Hasan earned his bachelor degree from Purdue University and he is a CFA Level III candidate.